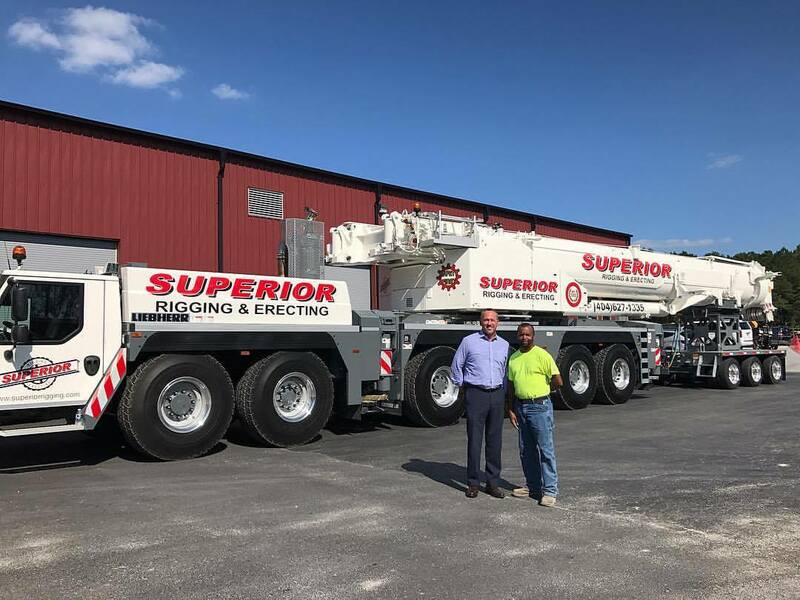 In April 2018, we were excited to add three brand new LinkBelt cranes to our growing fleet! Superior Rigging and Erecting is always expanding our fleet to better accommodate our valued customers! In 2017, we purchased a Liebherr LTM 1300-6.2; a COLOSSAL, 350-ton, cutting-edge crane system, which will assist with our complex projects and operations throughout Atlanta, Georgia and surrounding areas. 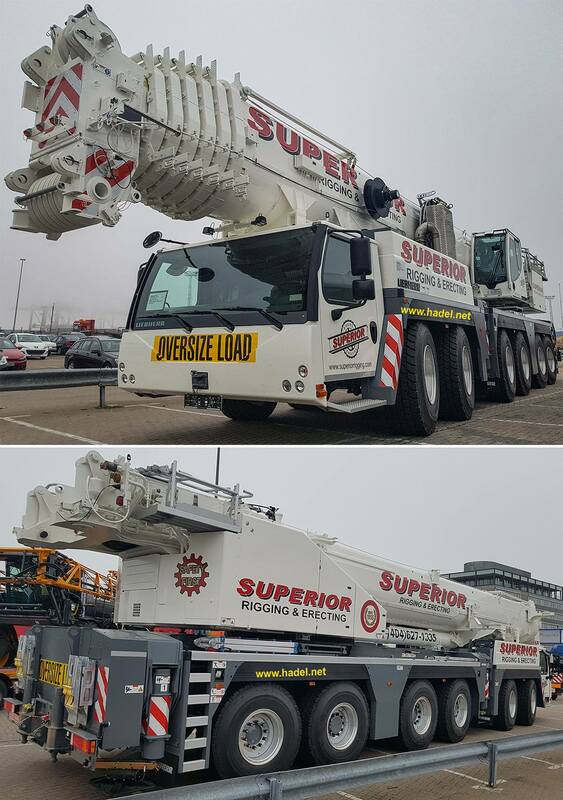 The Liebherr LTM 1300-6.2 is a six-axle machine which features an innovative drive concept: an engine in the undercarriage which powers the superstructure using a mechanical shaft. The machine is versatile with a maximum load capacity of 350-tons and a maximum tip height of 390-feet. The inventive engineering allows for high performance with variable boom options. We have enjoyed using the Liebherr LTM 1300-6.2 crane to assist with projects like the Philips Arena Renovations, which hosts the Atlanta Hawks and various concerts/events. We work tirelessly to provide solutions for projects requiring heavy steel, erecting and rigging needs. Established in 1952, we have the experience and industry-wide reputation for mobilizing the most complicated heavy steel projects in the United States; from coast-to-coast. Watch our time-lapse video showing Superior’s 350T Liebherr LTM-300 6.2 being delivered to Philips Arena. Superior Rigging & Erecting was founded in 1952 and has locations in Atlanta, Ga. and Orlando, Fl. Since, we have developed a reputation for completing complicated projects with ease. Services offered include: steel erection, specialized rigging, millwrighting, turnkey plant services, heavy transport, equipment rental, warehousing, art/sculpture installationand more. 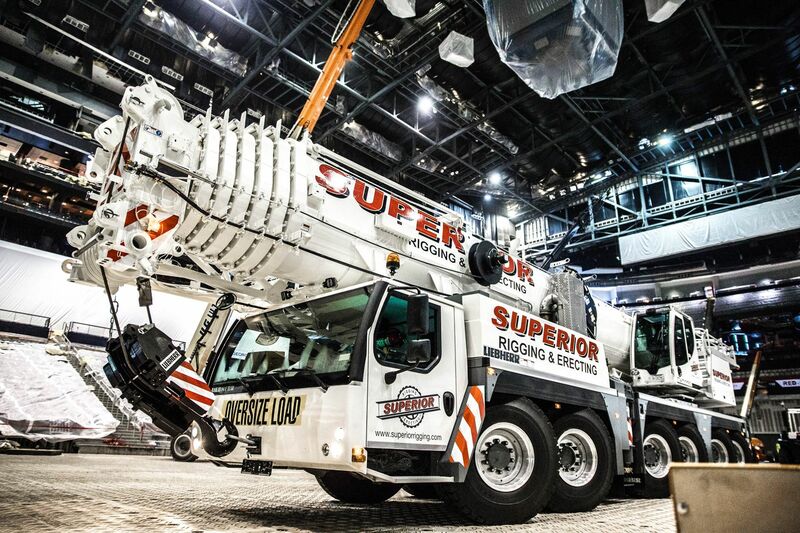 With wide-ranging services and more than 65 years of operation, Superior Rigging & Erecting offers seamless solutions to the most complex projects. Comprehensive rental options include: crane, forklift, tractor trailer, accessory equipment and more. 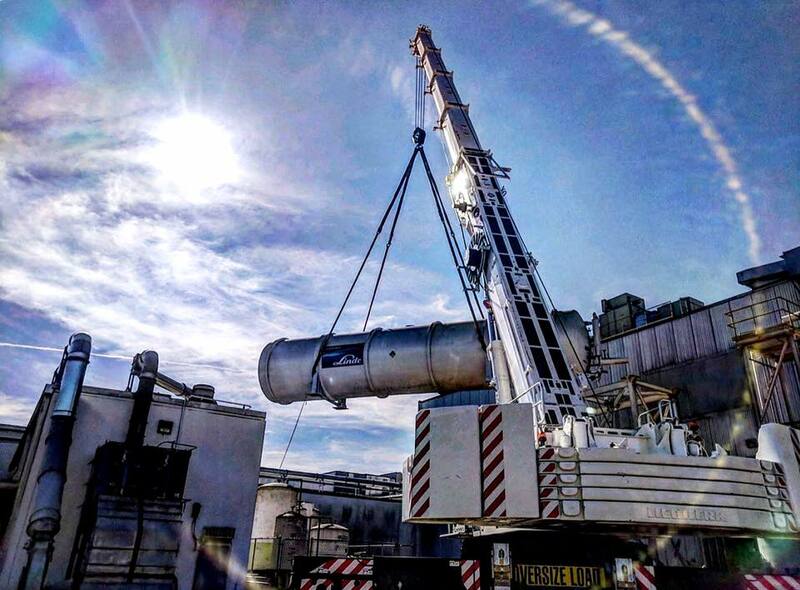 Benefits of choosing Superior Rigging & Erecting include an expansive equipment fleet which ensures quick availability, a comprehensive preventative maintenance program resulting in safe productivity and a commitment to a zero-accident environment, implemented with an active safety staff requiring complete, ongoing training. Superior Rigging & Erecting: making the tough jobs look easy since 1952.